Seattle officials want to make sure the slate will be fully wiped clean for any noncitizens, who otherwise could face repercussions because immigration courts define convictions more broadly than criminal courts. Seattle is still working to vacate hundreds of misdemeanor marijuana convictions from before Washington state legalized recreational pot, partly because officials are trying to make the dismissals count under U.S. immigration law. 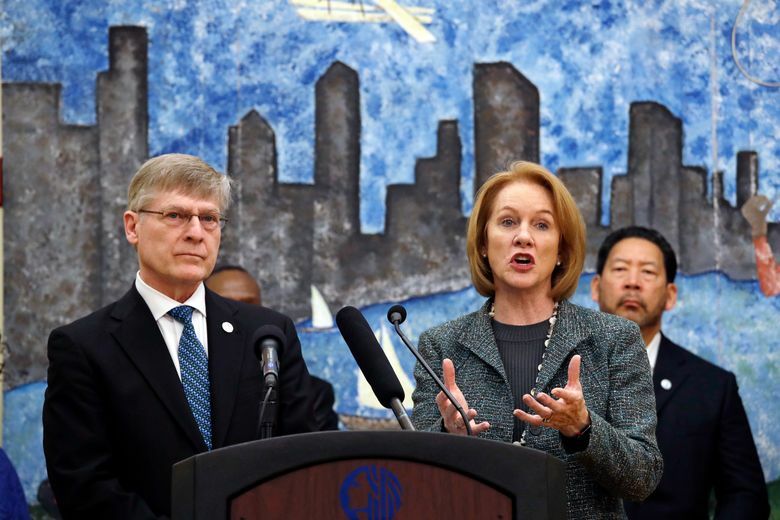 When Mayor Jenny Durkan and City Attorney Pete Holmes announced the move Feb. 8, Holmes said his office planned to act the next week by filing a single motion in Seattle Municipal Court to vacate the convictions for small-time marijuana possession. That timeline was pushed back, though officials still hope to complete their work soon, Deputy City Attorney John Schochet said last week. “We are in the final stages of working with the municipal court on the procedure and logistics of filing the marijuana-vacation motion, which is both a unique process and involves a very large number of old cases,” Schochet said in a statement. Under a 1996 law, immigration courts define convictions more broadly than do criminal courts. For example, they include convictions vacated as a result of rehabilitation programs, said Matt Adams, Northwest Immigrant Rights Project legal director. For that reason, noncitizens can run into problems despite their convictions having been vacated, said Adams, whose organization has been advising the City Attorney’s Office on how to ensure the marijuana convictions are rendered moot under immigration law. Doing so requires a determination that there was no valid basis for the original convictions, he said. Misdemeanor marijuana convictions matter for noncitizens because they can have serious consequences, Adams said, mentioning a client from the Caribbean with a conviction for attempted marijuana possession. The client was later stopped and put into deportation proceedings while returning to the U.S. from a trip abroad. The man, a lawful permanent resident who had been using marijuana for his sickle-cell anemia, had been charged after a police officer found a joint in his vehicle. While the client was able to avoid deportation, his conviction has since been a factor that’s prevented him from obtaining U.S. citizenship, Adams said. Durkan last month described Seattle’s move as a “necessary step” to right the wrongs of the so-called war on drugs. The mayor said marijuana convictions have unfairly blocked people from obtaining housing, credit, jobs and education. Holmes said he expects the city’s action to affect 500 to 600 convictions dating from 1997, when the city took over misdemeanor marijuana prosecutions from King County, until 2010, when the city stopped prosecuting such offenses as a matter of policy. At least some of the relevant convictions likely belong to noncitizens, Adams said. About 20 percent of King County residents are foreign-born, he said.